Association Junior Competition is conducted Saturday mornings from 8.30am to approximately 12.00 noon. There is a Summer Season (Terms 4 & 1) and a Winter Season (Terms 2 & 3). Weekly matches are played on a HOME/AWAY basis and rosters are distributed at our Junior Information nights held prior to the commencement of each season. 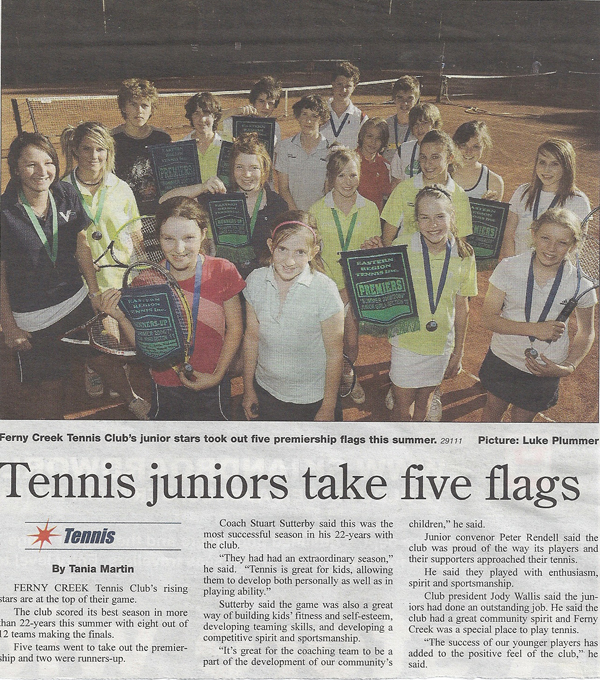 It is not compulsory children play competition, but those that do play often end up enjoying the game of tennis so much more, both on a competitive and social level. 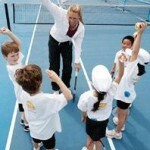 Once juniors start playing competition, you’ll find that what has been learnt is put into practice. Those who play still have lessons to further enhance the basics and skills already learnt and may continue to have coaching for as long as they like. Before starting, juniors need to become a member of the Club they will be representing. (Simply ask us for a membership form). Once a member, children can practice as much as they like as well as joining in on Junior Practice Nights and other Club activities. Please feel free to call us should you wish to discuss any aspect of the competition details further. FORMAT: Teams consist of two players. There are three grades – A, B & C with four teams in each grade. The Coaching Staff formulate pairs to provide an even competition for all participants. A Hopman Cup style format applies to weekly matches. Players play a set of singles and a set of doubles each week. Both matches are a 6 game set. Ladders are posted after each round of play. Players receive a list of teams, roster and a copy of the draw at the beginning of each season. No Club membership is required in order to play. SEASON: Each season coincides with the school terms and is 7 weeks long – 6 rounds of matches, followed by finals – (1 vs 2 & 3 vs 4). Remaining spare weeks are reserved in case of washouts. You only commit yourself for one season/term at a time. Season/match fees cover balls, court hire, trophies and final “break-up” night where food and drinks are provided for all players. 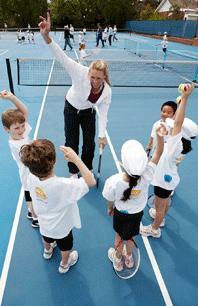 Extreme Tennis also runs the MLC Hot Shots Program. Click here or contact us for more details. FORMAT: Teams consist of two players. There are three grades – A, B & C with four teams in each grade. The Coaching Staff formulate pairs to provide an even competition for all participants. A Hopman Cup style format applies to weekly matches. Players play a set of singles and a set of doubles each week. Both matches are a 6 game set. Ladders are posted after each round of play. Players receive a list of teams, roster and a copy of the draw at the beginning of each season. Children/Toddlers welcome. 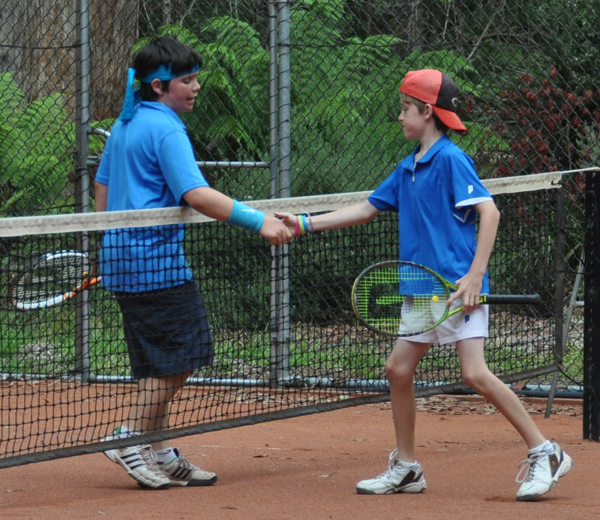 Tennis Victoria’s Pennant competition is the largest club representative competition in the country with over 3500 junior and adult players representing 150 clubs. It has been designed to encourage a high standard of play between clubs across the Melbourne metropolitan and surrounding areas. Men’s and women’s teams of all ages and standards can enter the 14 week, plus finals competition. 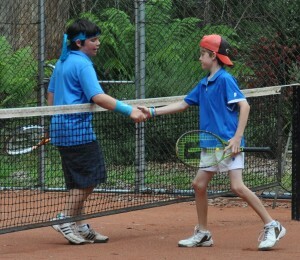 • The format of Tennis Victoria Pennant (Tier 1) features Saturday or Sunday morning or afternoon play. Singles and doubles are the best of three tie-break sets. • TV Pennant is played over 14 weeks, with eight teams per section. Singles and doubles are played on alternate weeks. • The Senior’s and Women’s Open Doubles grades play a best of 3 tie-break sets, doubles-only format every week. 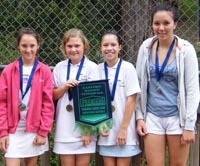 • Winners of each Grade/Section will be awarded trophies by Tennis Victoria. 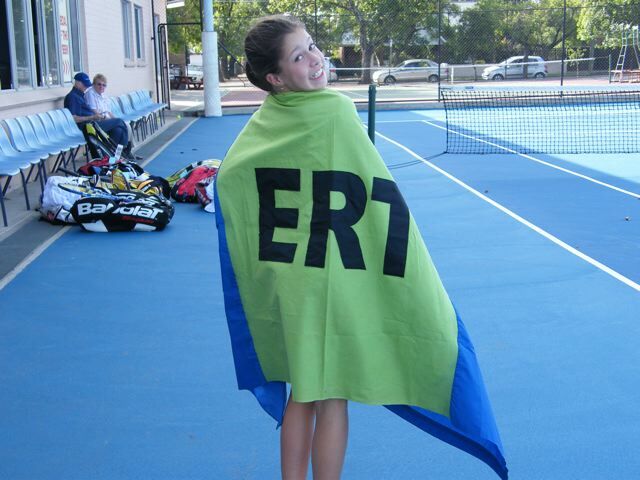 Tennis Victoria’s flagship junior competition, Junior Pennant, is a team based competition that allows players to represent their local metropolitan association.